Engineer and scientist in the medical devices industry for over 20 years, at Abiomed, Medtronic and Starkey. Developed artificial hearts, cardiac-assist devices, implantable and wearable biomedical sensors for pacemakers, defibrillators and hearing aids and characterized wind noise in hearing aids. Adjunct professor of fluid mechanics, University of St. Thomas, St. Paul, Minnesota. 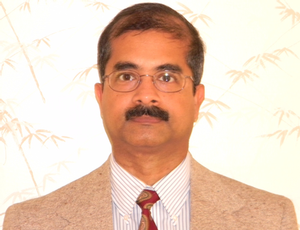 BTech, Indian Institute of Technology, Kharagpur (1986), MS, Case Western Reserve University (1988), PhD, Massachusetts Institute of Technology (1993), all in Mechanical Engineering, specializing in fluid mechanics and thermal sciences. Has 10 US patents and several peer-reviewed publications.